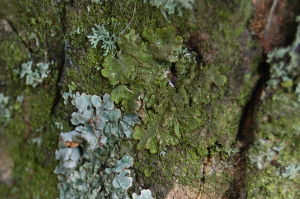 Observation - Lichens - UK and Ireland. Description: Various lichens, all on sycamore trees. Please can you help with identification for OPAL survey? Various lichens, all on sycamore trees. Please can you help with identification for OPAL survey?